I love cooking but sometimes I’m seriously pressed for time or just don’t feel like cooking and heating up the kitchen, as it tends to get very hot in this Georgia during the summer. This is when I think of options that are super easy and versatile like Walmart’s fully cooked (Marketside) rotisserie chicken or Marketside pizzas. I seriously love rotisserie chicken, as it’s a quick healthy option that’s very tasty and can be used to make a quick lunches like quesadillas, tacos, sandwiches and more; after making the sandwiches, I used the leftovers in a chicken pot pie! 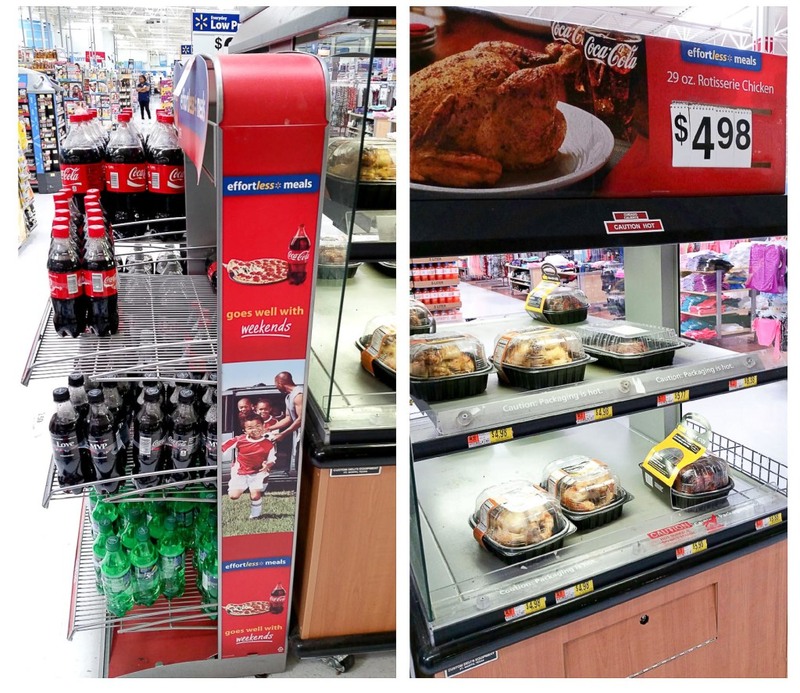 On one of my busy days, I ran into Walmart and picked up a rotisserie chicken and a bottle of Coca-Cola(my guilty pleasure) which are very easy to spot as it’s usually in the front of the store by the grocery section. Look for the signs that say effortless meal, which usually has suggestions on how to create an effortless meal. 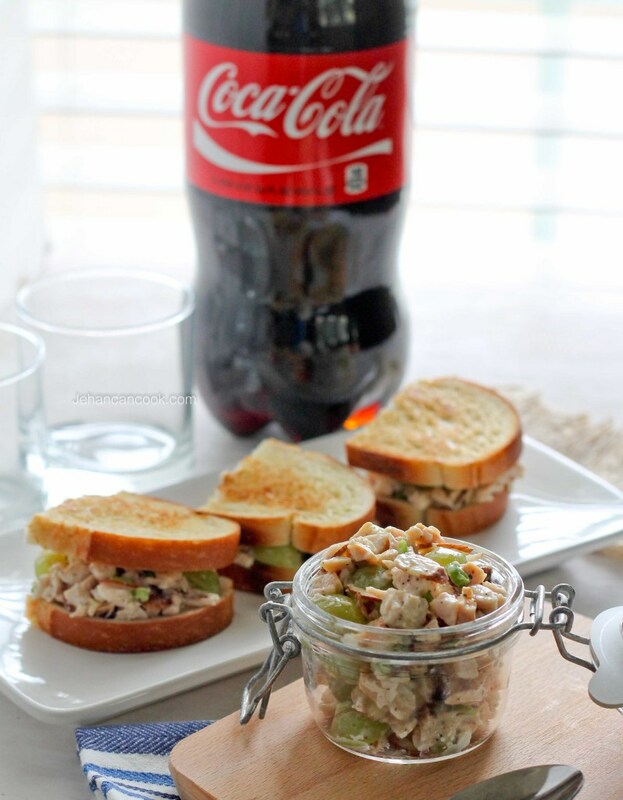 I used the rotisserie chicken to make a super quick chicken salad sandwich. Lunch was on the table in 15 minutes and I did not have to touch the stove! 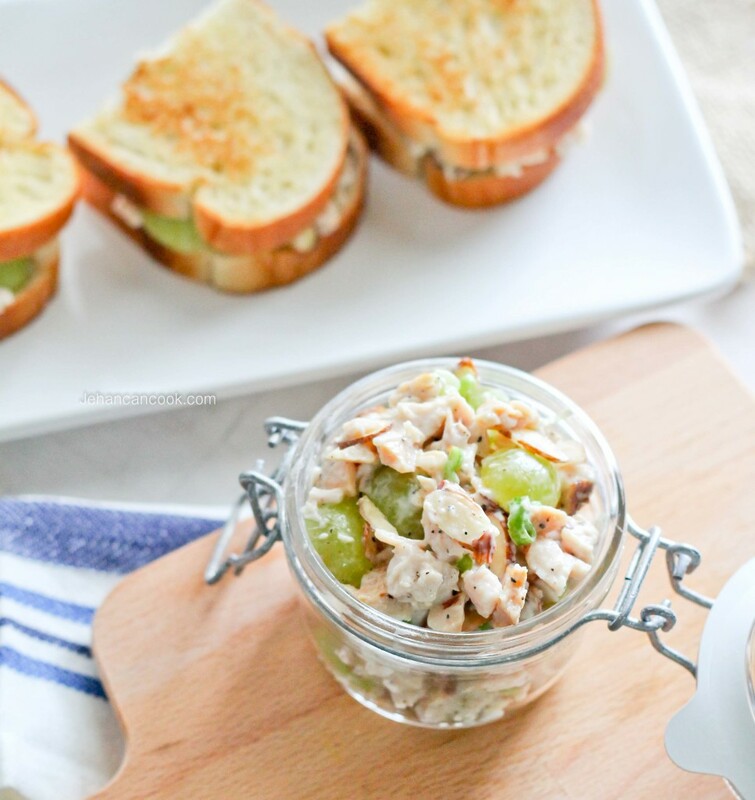 I love fruits in my chicken salad so I added fresh green grapes and for an extra crunch, slivered almonds. The dressing was a simple honey garlic dressing; this is as easy as it gets. 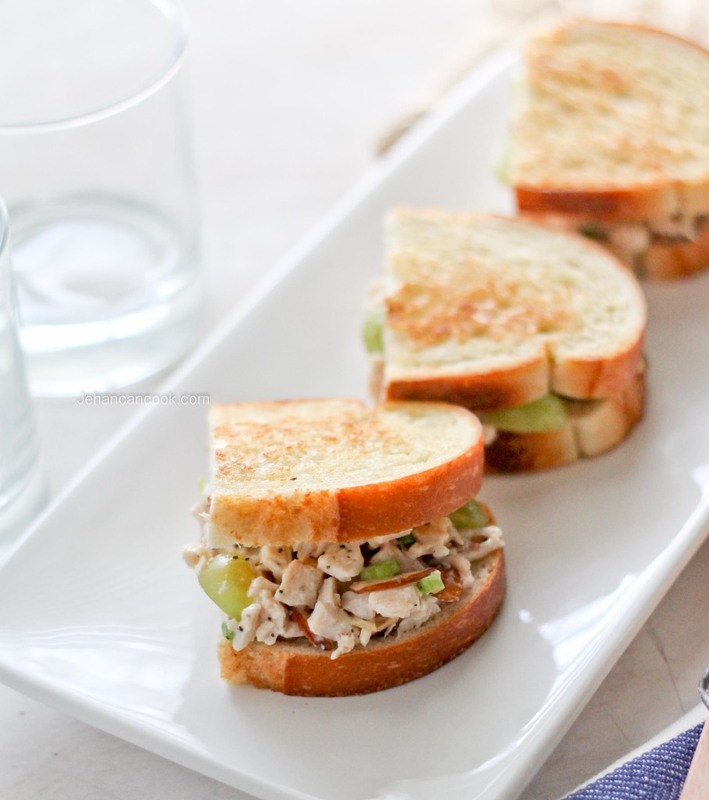 These sandwiches are also great at picnics, just be sure to pack then in a cooler! You can also serve this salad over your favorite lettuce or on its own. Be sure to check out more effortless meal inspiration here. What are your go to meals when you’re too busy to cook? 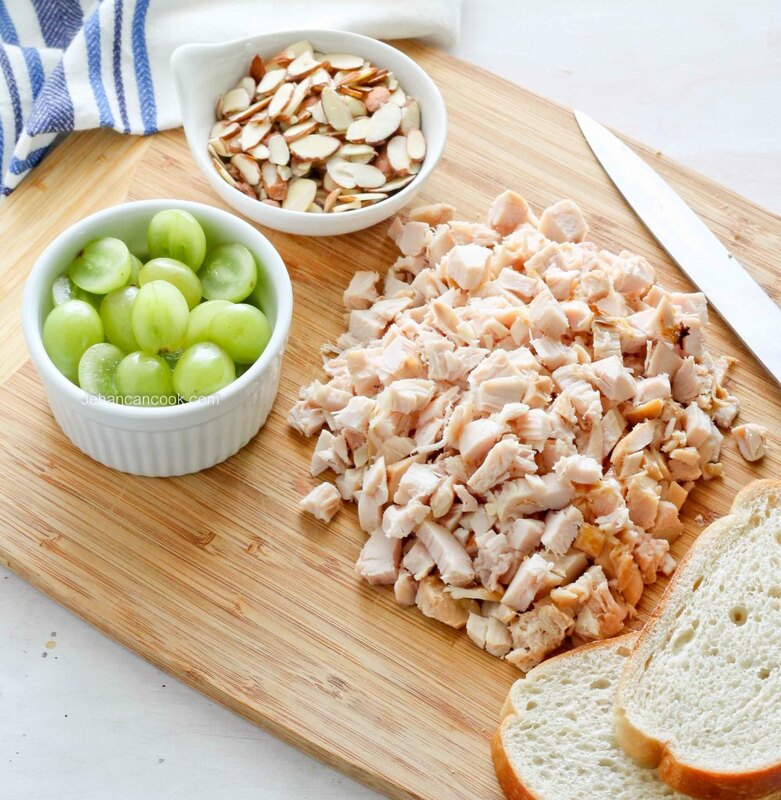 To make the salad, place the chicken, grapes, almonds, scallion and dressing in a bowl. Gently mix to combine. Divide into 4 and place between toasted bread to make sandwiches. To make the dressing mix mayonnaise, garlic, honey, black pepper and salt in a small bowl until well combined. Slivered almonds? Or sliced almonds? Sliced almonds are pictured but the recipe calls for slivered. Which do you prefer? Sounds good. Consider toasting the almonds before adding to the salad for a richer, more buttery crunch. Les, thanks for the tip. What kind of bread is this? Looks wonderful! Thank you, it’s Italian bread.